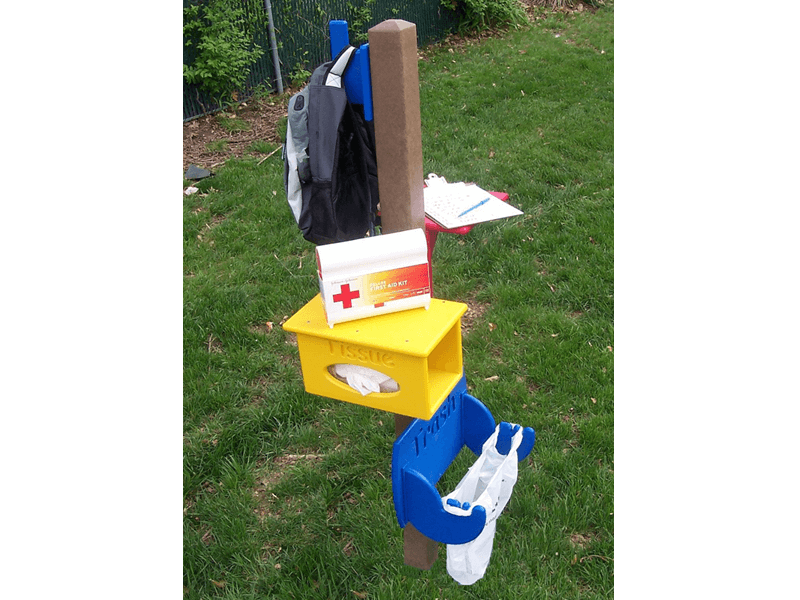 The Teacher’s Organizational Post is a multipurpose structure for centralizing outdoor teacher supplies. Ideal for the outdoor preschool playground, the post contains a large hook to support hanging items like backpacks, a shelf for clip boards and writing activities, and a child-accessible tissue holder and trash receptacle so children can retrieve their own tissues and dispose of them in a hygienic manner. The trash receptacle is designed for a standard plastic grocery bag. Tissues, back pack, first aid kit, clipboard and trash bag not included.